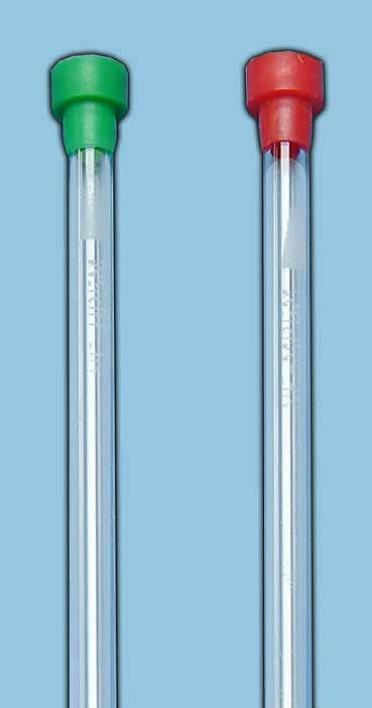 The “H” Series Pyrex 5mm NMR sample tubes offer a heavier wall (1.4mm) for further reduced sample volumes (3.8µl versus 9.3µl cross-sectional volume for medium wall tubes) and added safety in degassing samples by the freeze/thaw method. There is no guarantee on performance due to the nature of the product. Made of Pyrex, each tube is marked and capped.